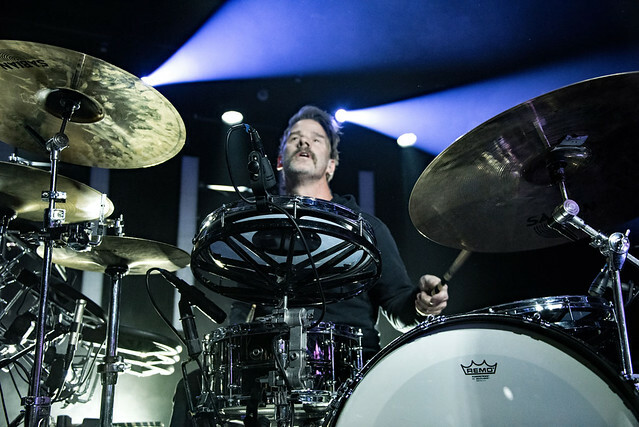 Posted on 02/06/2019 by Mark Caicedo	in Live Review and tagged ambient, California, El Ten Eleven, Los Angeles, post-rock, Union Stage. 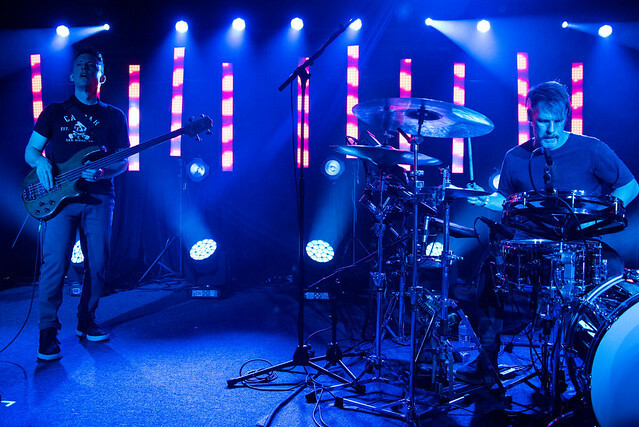 El Ten Eleven stopped in at Union Stage on a recent chilly night to perform their high-energy, post-rock/ambient melodies for an adoring, sold-out crowd. Despite the occasional technical difficulties (“This only happens at sold-out shows, never at band practice,” as Kristian Dunn jokingly said) the duo raced through a tight, well-paced 90-minute set consisting of pieces from their extensive back catalog and newest release, Banker’s Hill (Topshelf Records) on Feb. 2. 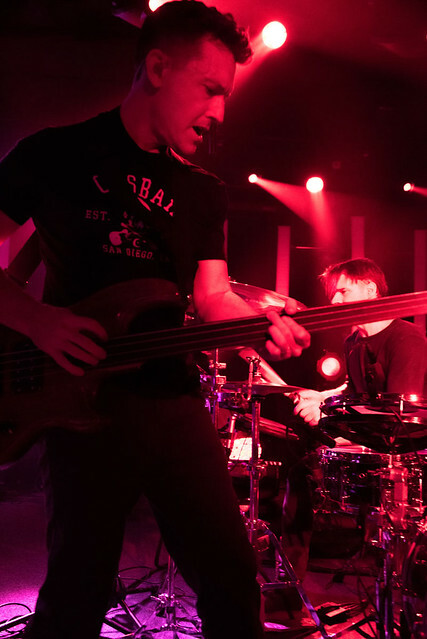 The Los Angeles-based duo — Kristian (bass, guitar) and Tim Fogarty (drums) — was formed in 2002. Since then, they have released seven studio albums, including Banker’s Hill, named for the Lockheed L-1011 Tristar airplane seen on the cover of their self-titled first album. 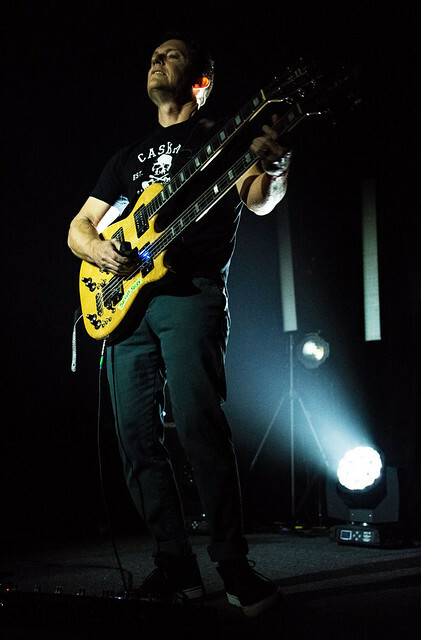 Since that first release in 2005, their studio work and working partnership with Gary Hustwit’s award-winning design documentary trilogy, “Helvetica,” “Objectified,” and “Urbanized” has raised El Ten Eleven’s stellar musical reputation significantly. 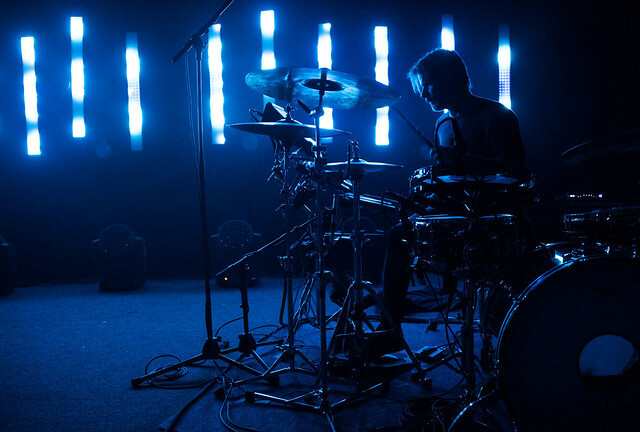 But live performance is arguably where El Ten Eleven soars. About midway through the show, Kristian announced, “We’re a post-rock band.” Clearly though, this band is much more than that. 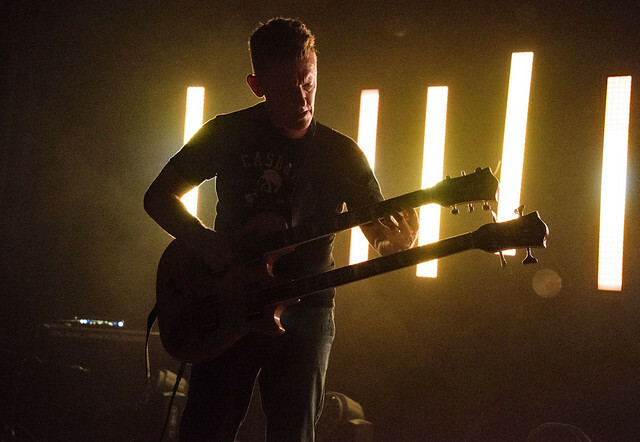 El Ten Eleven owes as much to Mike Oldfield, Larry Fast, and Brian Eno as as it does to God Is an Astronaut and This Will Destroy You. 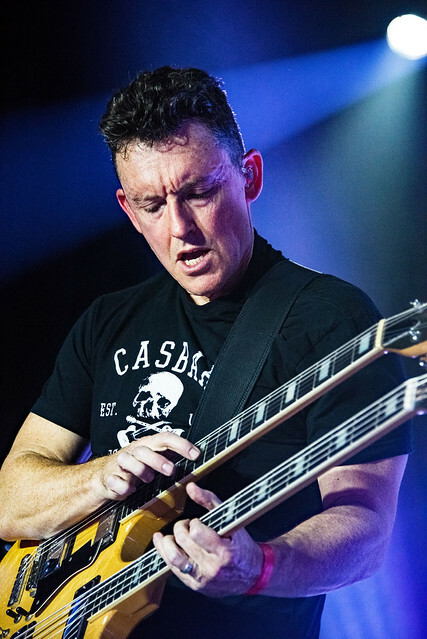 El Ten Eleven seemed to form a genre unto itself. First-timers to an El Ten Eleven show express amazement that only Kristian and Tim make up the “band” because there are no backing tracks, computers, or other musicians involved. Rather, compositions are built, melodic piece by melodic piece, using live looping-recording and playback of a piece of music in real-time with loopers or phrase samplers. But rather than a mish mash of disparate samples, or an unintelligible wall of sound, instead there were musical layers that ebbed and flowed with clear and accessible melody lines. 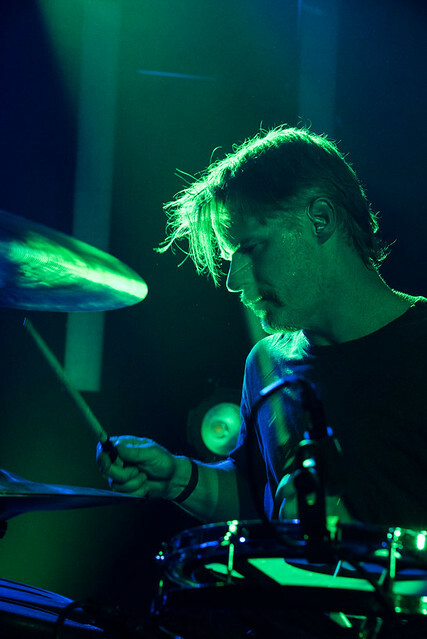 Propelled forward by Tim’s relentless and intricate drumming, songs build and flow, with breakdowns, pauses, and expert use of silence to emphasize the crescendos-endless, open oceans of melody created by only two people floating on the surface of the stage. 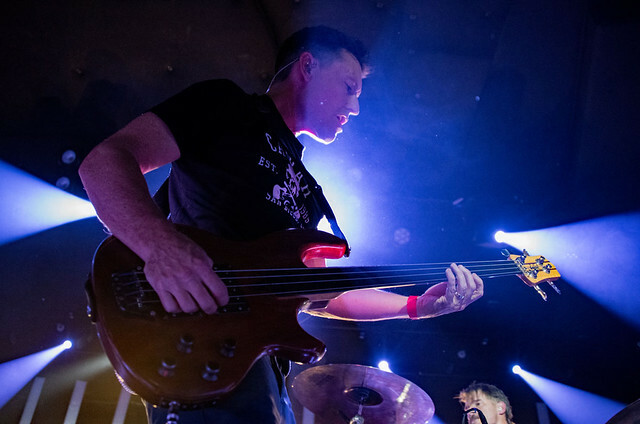 El Ten Eleven’s music was meticulously crafted, arranged, and performed, and so the aforementioned technical glitch resulted in a remarkable moment as Kristian was preparing to solo. Changing instruments mid-song to launch into the next guitar-based movement, the tuning was off, catching him by surprise. 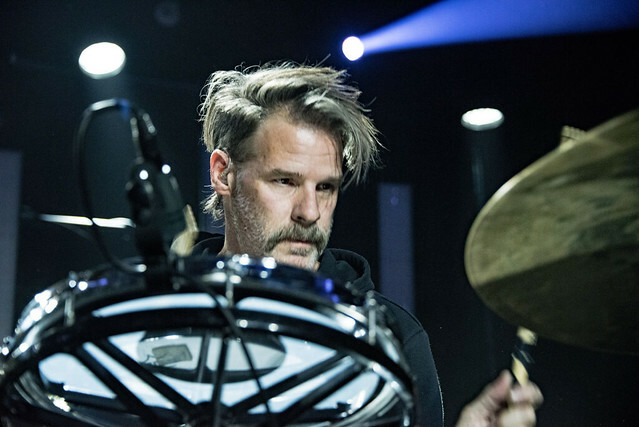 Rather than stop the song, Kristian made adjustments on the fly while Tim drove the percussion forward, allowing them to improvise throughout the rest of the number, not missing a beat. 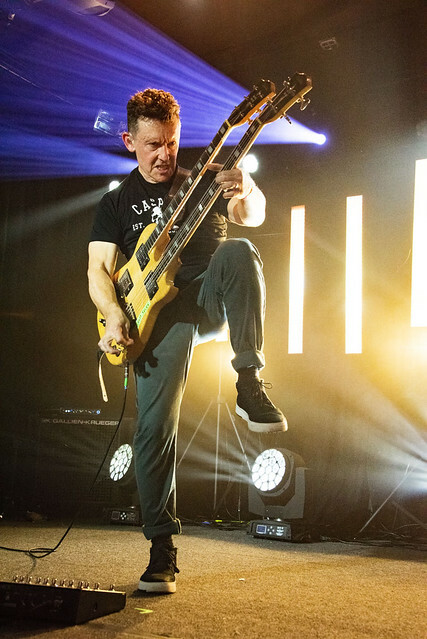 As a sort of apology, Kristian said, “That would have been so cool if my guitar had been in tune.” Uh-uh, this fan disagrees: The moment was incredibly cool example of the live music’s power — the skill, spontaneity, and experience it took to perform despite the glitches and surprises. 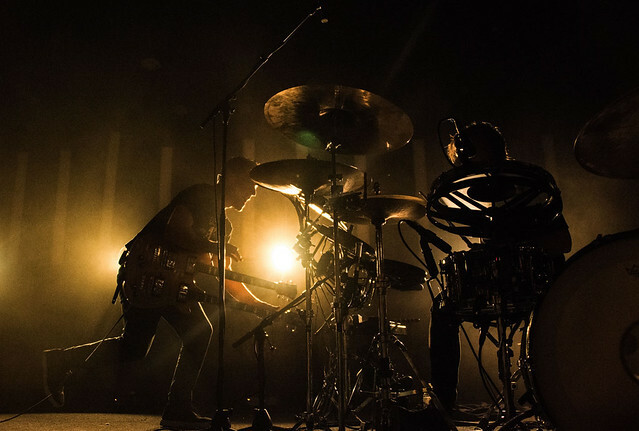 El Ten Eleven will be on tour through the end of February. 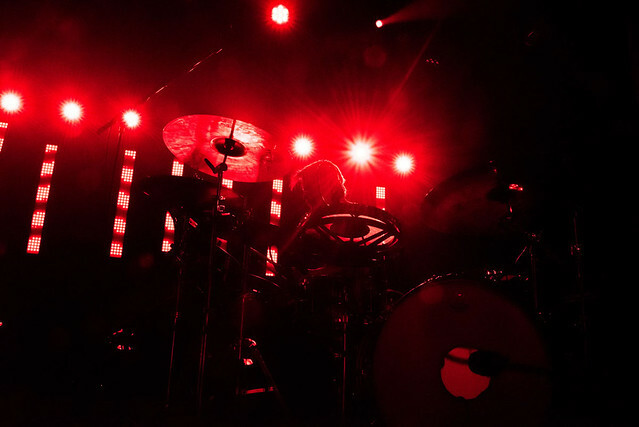 Check upcoming dates and listen to more music on the band’s website. 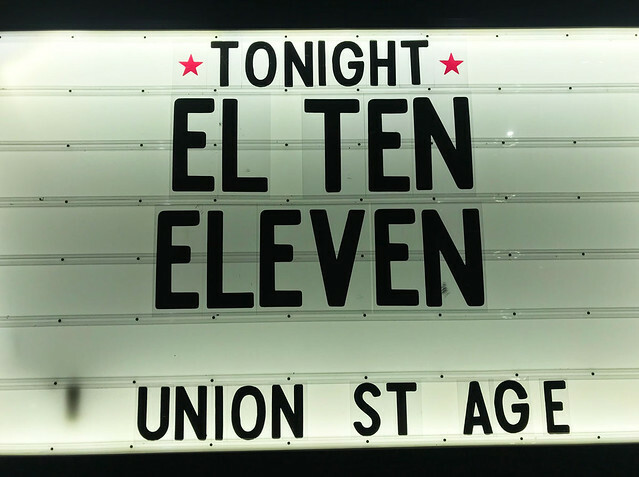 Here are some pictures of El Ten Eleven performing at Union Stage on Feb. 2, 2019. All photos copyright and courtesy of Mark Caicedo.